There´s a myriad of reasons why Everton miss out on the odd player or nine. As a fanbase, we expect that we won´t be signing Messi anytime soon. 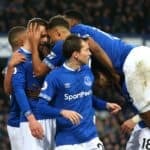 However, there´s absolutely no reason – financially, or due to club reputation – why Bill Kenwright should not look far and wide and bring the right man in at Everton, no matter what. When Moyes announced his intention to leave Everton, it was met with a mixture of surprise, disappointment and acceptance by a lot of supporters. For me, the bigger surprise and cause of more disappointment was the immediate betting list for next Everton manager. Malky Mackay, Neil Lennon, Roberto Martinez… even Phil Neville, all leading contenders. Nothing against Mackay and Martinez really (I actually like both managers), but it was maddening to see the bookies automatically look down the leagues to inferior teams rather than consider the continent and beyond for managers who are looking to test their mettle in the Premier League. That said, I can hardly blame the media. Everton have been painted as plucky underdogs for well over a decade, so to see the clowns at TalkSport stupidly mention Tony Pulis as a good candidate for the Everton job is hardly surprising. But my biggest fear is that, as a fanbase, we buy into the usual media crusade painting us as a slightly older version of Wigan rather than the top club that we are. That isn´t delusion by the way. We´re a top six club in the most popular league in the world. Our outgoing manager is one of the highest paid managers in world football. We have just proven that doing a good job at Goodison Park can lead to the very top roles in world football, both as players (see Arteta, Gravesen, Rooney etc.) and managers. So whilst in 2002 we were in dire straits and looking down the leagues for an up and comer to take a chance on was acceptable, in 2013 it´s a whole new kettle of fish. This summer, we will have the increased TV money to spend, plus a likely big money sale of Fellaini and/or Baines, along with Heitinga and Mucha, Neville retiring etc. That´s a lot of the wage bill freed up and a lot of capital to give the new manager to stamp his authority on the team and start anew. Therefore, there is no excuse at all – not one – for not looking far and wide to bring the best man in for the job. Not the guy happiest to take a low wage just to have the marquee job. Not the man who´ll happily tow the line and big up his “great relationship” with the chairman, like they´re best buds. Not the guy who shows the most enthusiasm for Coronation Street in the interview. No, the best man for Everton, no matter what the cost. 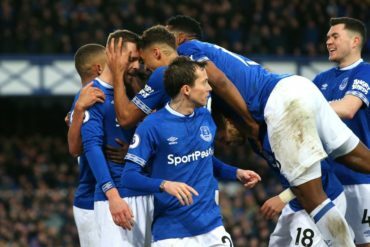 It´s going to be a revolutionary summer at Goodison Park – this needs to be right. Get it right Bill.